After you have completely recovered yourself and relaxed on one of the many beautiful beaches on island Murter, your thoughts will be focused to going out. We definitely recommend you to visit one of many local bars or night clubs. They may not have club vibe that many other huge european clubs offer, but they have something that you won't be able to find anywhere else - relaxed atmosphere of Mediterranean nightlife, which guarantees unique experience and unforgettable party. Try to learn some of the popular Croatian songs, even if you don't know how to sing! And if you don't find a dance floor, you can still get up and dance, cause during summer, everything is allowed on island Murter. Parties, no matter if there's even a reason for celebration, make the most of night life on island, especially when the whole town, whether you're in Betina, Jezera, Murter or Tisno, moves in the rhythm of music. Nice warm climate with huge number of sunny hours in a year, amazing beaches, different winds and the very location of island allow you to try many sports, on land or on sea. Fishing is a traditional skill on this island, which allowed many families to survive during historical times. Cause of that, it's not surprising that many families, besides tourism, still practice fishing. If you're lucky enough, you can find a local fisherman who will take you with him to go fishing. If you're not that lucky, simply grab your own hook, find a nice spot and try fishing yourself! We wish you a good catch! 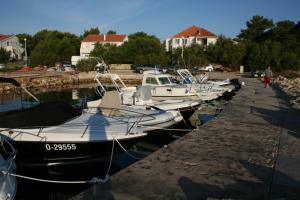 There are three marinas on island Murter - Murter, Betina and Jezera. You can find charter agencies there which will rent you sailboats, but they also offer sailing courses, sailing in the fleet and regattas. Most places on island have diving centers, biggest one being in Murter city, and offers diving courses, equipment rent, filling your tank with air and they organize diving expeditions. Tennis courts can be found in Jezera (Lovisca) and Murter (on Slanica beach). On bicycling trails by the sea, early morning or at night, you will most definitely experience special adventure. Typical game for all dalmatian cities, this temperament game is interesting to watch and even more interesting and fun to play. Garden festival in Tisno is placed in a beautiful natural amphitheater with soft meadows which lead to our private bay with sparkly sand beach and crystal clean sea. In an unexplored, lonesome paradise, to which you can get simply by walking from beautiful town Tisno, this place offers a real festival feel, while still maintains intimacy which is so special for our visitors. 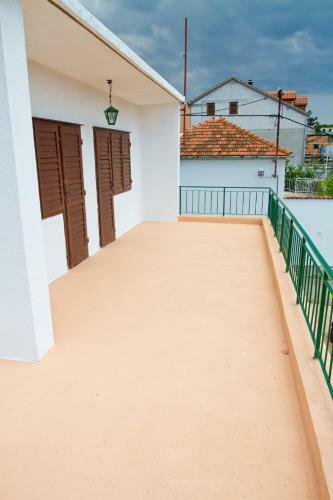 Tisno is placed on a beautiful Adriatic coast half way between Zadar (45 minutes) and Split (60 minutes) airport. Old town is charming and idilic with many restaurants, bars and apartments, and it is connected to island Murter with a bridge.